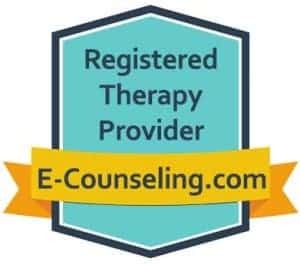 If you are a therapist seeking professional consultation about how to start your own online private practice, please click this link HERE to learn more and to schedule! Dr. Lisa is great. She is very easy to talk to, accepted me where I was at in my journey and always has had helpful tools for me to use. She challenges me to rework some of my thoughts and assumptions, she never judges and is always very professional. Each time I talk with her I gain a little more insight on the things I’m dealing with and steps to take to improve, adjust or reexamine my thoughts and actions. I wasn’t sure how the Skype session would work but I love it! I’m able to be in the comfort of my own home but still get to “meet” with her face to face in a more intimate setting than a phone call or an email. It is great because with a job, 2 small kids, my wife and coaching it is very hard to find the time to drive to a clinic, take time off work or away from the family, to get the help I need. I’m able to get the kids to bed and go down stairs, get my headphones on and meet in a very personal way. She also is super flexible so if I have to change times or make minor adjustments to our schedules, we are able to do so – many great things that can’t be done in the more traditional counseling setting. I would recommend Dr. Lisa to anyone who is looking for a very caring, knowledgeable Dr. who not only listens but has tangible things to do or think about between sessions. Dr. Lisa has significantly helped both of our middle school aged boys to overcome problems with anxiety on and off for over two years. Dr. Lisa’s friendly and compassionate personality allowed the boys to feel very comfortable meeting via Skype in their own rooms during times that were very accommodating. Her breadth of knowledge and experience was beneficial in providing the boys with multiple age-appropriate tools they could utilize to effectively cope with problems they endured. She also communicated with us and provided skills we could use to reinforce these techniques. Dr. Lisa is a highly skilled therapist and we are very grateful for all her assistance! Thank you for taking the first steps towards improving your overall mental health and well-being! 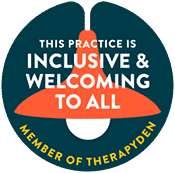 We are delighted that you would like to learn more about Synergy eTherapy to see if this service is right for you. 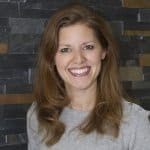 Dr. Lisa Herman is happy to provide a FREE 15-minute phone consultation with you to learn more about what you are experiencing at this time and explain how eTherapy could benefit you or a loved one. Please complete the contact form and her calendar will pop up for you to schedule. Minnesota, Wisconsin or New York.